Rhinestone and pearl embellishments online. Need to bling up your creation, we have a hunge range of rhinestone buttons, flatback rhinestones and flatback pearls. 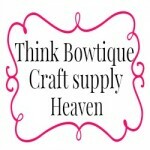 Our acrylic rhinestone buttons have shanks that can be sewn on to clothing and other craft projects. If you need them flatback for embellishing hair accessories the shank can easily be removed. Select shank of when purchasing these buttons. All our metal rhinestone embellishments are flat back, perfect to embellish hair accessories or wedding boutiques. We also stock a range of flatback pearls and rhinestone. All our embellishments can be used to embellish hair accessories, stationery, weddings and any project you need a little bling.